In hindsight, Amy Haile realizes how much of an influence her mother had on her as a child. Born in Orlando, Haile spent her early years there. That’s where her father landed while serving in the U.S. Air Force. But when her parents divorced in the 1970s, her mother, Jan Roberts, moved her daughters closer to Tampa, where she completed a masters’ degree in counseling at the University of South Florida. Roberts went on to become the executive director of The Centre for Women, an organization dedicated to helping women in the Tampa Bay area success personally and professionally. Now retired, her mother, 80, recently performed a sold-out one-woman show at Stageworks Theatre, where she highlighted a cross-country trip she took in her Prius visiting friends and mentors, and reflecting on her life. Haile went on to study anthropology at USF and was interested in engaging other cultures and backgrounds without inserting judgment based on her own experiences. After earning her degree, she took a job with Operation PAR. Her role focused on juveniles with mental health and substance abuse issues. This is when she realized she enjoyed working with teens. “I really liked the energy of them,” she said. “They’re invincible and energetic and passionate about life.” She worked with youth and their families, collecting data that would ultimately help them make more informed decisions. She worked for Operation PAR on and off for years. During some of those off years, she worked for DUI Counterattack in Hillsborough County, also a non-profit organization. 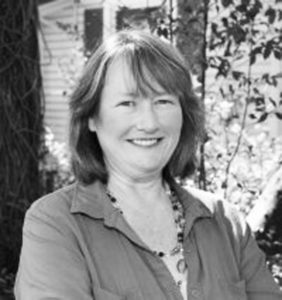 In 1995, she headed back to USF to enter a masters’ program in anthropology. At the same time, she returned to Operation PAR, where she worked until 2001, ending her time with the organization as the outcomes director. She joined the Children’s Board of Hillsborough County, an entity operated by the county, in 2001. In this role, Haile shifted her focus from teenagers to younger children. There were several projects she worked on during her time there that stand out for her. Working with area non-profit organizations and other Children’s Board staff, she helped to create a childcare system for families with special needs children. She recalls reaching out to various organizations and asking them “to design a perfect program of support.” Initially, they all argued that there was no funding for such a “perfect” program. But she insisted that they contribute their designs, anyway, which she used as the foundation for the Network of Inclusive Childcare that was funded by the Children’s Board. Though the NIC only existed for four years, there are “remnants of it still in place,” she said. Haile also helped implement a childcare support program for homeless families. Initially, the Children’s Board supported this local program. But eventually, the state took over. While working for the Children’s Board, she got to know the team at Champions for Children. She became especially good friends with Brian McEwen when they both entered a graduate certificate program in nonprofit management at the University of Tampa in 2009. When Paul D’Agostino, the founding executive director of the organization retired, McEwen stepped up to fill his shoes. McEwen then tapped Haile to replace him as the associate director. She joined Champions for Children – then the Child Abuse Council – in 2013. In recent years, Champions for Children adopted its new name as the organization began to shift its focus on priorities. When it was founded, it focused on the support and reunification of children and families affected by child abuse. The organization expanded its operations though, eventually focusing more on family wellness and child abuse prevention. Champions for Children touches around 38,000 lives in Hillsborough County each year. The majority of this, around 24,000, are through its in-school programming and presentations, Haile said. The rest, both children and their caregivers, are affected by specific programming. One such program is the Baby Bungalow, an early childhood resource center for new parents. “It’s a lovely oasis” for parents, Haile said, offering a variety of classes and workshops, as well as child development programs. There’s also Layla’s House, in Sulphur Springs, similar to the Baby Bungalow program, it’s a community-based learning center for caregivers and children. “It really helps caregivers navigate through whatever they might need,” Haile said. The organization’s annual fundraiser is just months away and it’s a great way to support Champions for Children, Haile added. The event, the Dream Keepers Ball, will take place Saturday, Sept. 29 at the George M. Steinbrenner Field in Tampa. 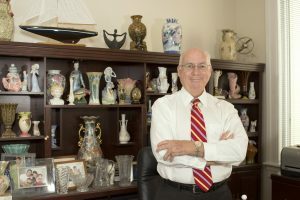 As a law student at Florida State University, Ronald Christaldi was “blessed” to be recruited as a clerk for Tampa’s de la Parte and Gilbert P.A. He was even more “fortunate” when the firm hired him a year later, in 1996, as a new attorney. Lou de la Parte, along with his son, David de la Parte, who had taken over the firm by that point, were local icons, idealized both as attorneys and as community leaders. By the time Christaldi joined de la Parte and Gilbert, Lou had mostly stepped back from his role with the firm as he focused on health issues. Still, the company culture was steeped in Lou’s beliefs, which his son upheld. “There was this tradition there, a sense of responsibility to the community,” Christaldi said. The firm stressed “community involvement, being politically engaged and helping to shore good government” through their work as well as in their personal lives. He worked for the firm for 12 years with David serving as a mentor for him as he carved out his career. 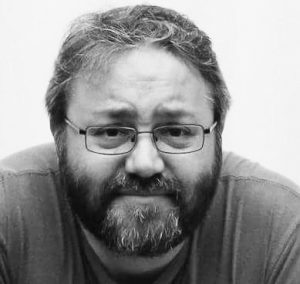 “[David] was the best mentor anybody could hope for,” Christaldi said. This reinforced what he learned as a young age: as an attorney, he could help people in need. As a fifth-grader growing up in south New Jersey, Christaldi was selected for a special program for academically gifted students. During one lesson, their teachers secretly organized a lesson about the legal system for these students. “In class, they pretended they had a fender bender outside and began to fake argue in front of us without us realizing it wasn’t real,” he said. One teacher then pulled out a fake gun and shot the other. “They wouldn’t do this in a classroom today,” he said. He went on to earn his undergraduate degree at New College of Florida in Sarasota, and then earned his masters and law degree from Florida State University. He hit the ground running with de la Parte and Gilbert P.A. 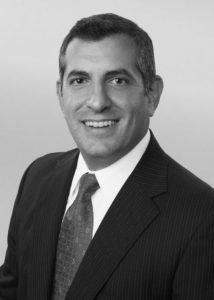 In 2007, he joined Shumaker, Loop & Kendrick, LLP, where he serves as partner, management committee member, healthcare co-administrator and president/CEO of Shumaker Advisors Florida, LLC. The entire time, Christaldi’s work with the community has been just important to him as his work as an attorney. He’s served in leadership roles at a number of organizations including The Spring of Tampa Bay, where he served on the board of directors from 2009 to 2014 and was vice chair. For him, “protecting and providing support and a way out for some of the most vulnerable individuals in our society” was important. He’s also worked with the Lions Eye Institute, Tampa Theatre’s Facility Master Plan Task Force, a variety of local and national bas asssociations, Tampa Bay Businesses for Culture and the Arts and Youth Environmental Services. 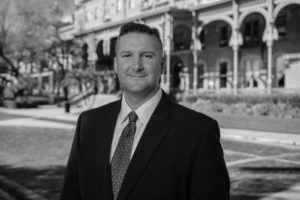 The role that prepared him for his current community passion – bringing the Tampa Bay Rays to Ybor City – was his work with the Greater Tampa Chamber of Commerce Board of Directors. In this capacity, serving as chair at one point, he focused on the economic impact of sports, particularly the Rays, on the Tampa Bay area. He toured other cities, checking out their transportation and stadiums, and how they used baseball to revitalize neighborhoods. Last year, as the Rays began to explore their options for a new stadium, Christaldi and Chuck Sykes, also a former chamber chair, began discussing how they could keep the stadium in the Tampa Bay region. They created Tampa Bay Rays 2020, a non-profit organization that encourages community support of bringing the Rays to Ybor City. Earlier this year, the Rays unveiled a new 14-acre site in Ybor City bound by Channelside Drive, 4th Avenue, 15th Street and Adamo Drive. Bringing the stadium to Ybor City is “a once-in-a-lifetime opportunity,” Christaldi said. Through their non-profit, he and Sykes created the Rays 100, a group of business leaders who support the team’s move to Ybor City. They held the launch for this group last month. Those involved spread the word about the new stadium to their own social, civic and business circles. The new stadium will “be full circle” for “the buildout and redevelopment of downtown and Ybor City,” Christaldi said. He considers many of the new spaces in and around downtown Tampa: from the Armature Works in Tampa Heights to Jeff Vinik’s investment in Channelside to the outer portions of Ybor City. “Now all of a sudden you’ve got this ring around this core of downtown that is walkable and has a lot of things going on,” he said. As a first-generation American, Anthony Perez doesn’t take for granted how hard his family worked when they first moved to this country. In fact, he leans on their story and their early struggles as inspiration for his banking career and his work with Tampa’s Hispanic community. His family were milk distributors in Cuba when Fidel Castro took control of the government. He was told by his parents that for a while, they went about their business, delivering milk. But one morning, in the mid-1960s, they were greeted by men with rifles outside their home. They were told they could either work on a government-run farm or leave the country. A plane sponsored by Catholic Charities was about to take off. His family – his young parents, just teenagers at the time, and his maternal grandparents and uncle – chose to leave. Going back into their home with just enough time to pack a bag, they were rushed to the plane that was heading for Spain. After two years living in Spanish homes sponsored by the Catholic Church, eventually they were placed permanently in the United States and immigrated to Chicago. When they arrived, they didn’t have much money. But they were able to purchase a single car jack and used that to start a company fixing flat tires. For years, they focused on roadside assistance, but their business grew into an auto part distribution company, Garcia’s Auto Parts – named after his maternal grandfather – which at one point had 11 warehouses throughout the city of Chicago. His parents lived modestly, sacrificing to send him and his sister to private school. When he was about 10 years old, they moved to Daytona Beach because he had severe asthma. His uncle ran the auto parts company day to day, while his father helped from afar and his mother went back to school to become a nurse. From a young age, Perez dreamed of a career in the hotel industry. “I always wanted to own my own hotel,” he said. “I wanted to be the largest franchise owner of a Marriott hotel.” Growing up, many of his birthday parties had been held poolside at Marriott hotels, his parents renting space for him and his friends to play. Instead, he said, “Bank of America found me.” The company held annual hiring events at the Marriott. So the recruiter asked Perez if he had ever considered a career in banking. At first, he told them he wasn’t interested. But when Bank of America returned to the Marriott the following year, he had a different answer for them. He was chosen as one of 15 for a selective training class, and was the only one of this class hired as a branch manager and given the keys to a bank – the other trainees were hired in different roles. Still, he wanted to pay his dues and help his family. But work anxiety kept him up at night and distracted him from life. Eventually he had to tell his uncle that he didn’t think the family business was a good fit for him. Perez took a job as Tampa branch manager of BMO Harris Bank. He had been looking for the right company to join. “I wanted to find an organization that would invest in me,” he said, and BMO Harris not only supported his earning an MBA, but funded his education at the University of South Florida. After 11 years with BMO Harris, he left in October, as assistant vice president, to join the Bank of Tampa as vice president of commercial relationship management. “Everybody in Tampa knows, as a banker, that if you get an opportunity to be with the Bank of Tampa, you take it,” he said. Last year, the bank donated more than $700,000 to 200 local nonprofit organizations. So while other banks donate funds and services to charities, Bank of Tampa has more of an impact in the Tampa Bay area directly, Perez said. When hired, he was given a budget to use to contribute to community organizations and events, and has been encouraged to give his time – even if it cuts into his work hours – to participate with these groups in a hands-on capacity. Perez has always been interested in community work. “But now I get to do it at a much higher level,” he said. Even before joining Bank of Tampa, he became a member of the city of Tampa’s Mayor’s Hispanic Advisory Board nearly three years ago. He’s currently in the midst of his second year as the group’s chair. The group’s signature event is the Latinos Unidos luncheon, which drew nearly 550 people last year and since its inception has raised more than $1.4 million for college scholarships awarded to local Hispanic students to attend USF, the University of Tampa and Hillsborough Community College. This 20th annual event will take place May 8 at The Hilton hotel in downtown Tampa. He also sits on the board of USF’s Latino Foundation, and spends his time mentoring college students. After his grandmother, Olga Garcia, passed away in January, he and his cousins established a USF scholarship in her name. Peggy and her champion, Majestic Delight. As far back as Peggy Land can remember, she’s been driven by two things: justice and kindness. Today, though she’s never run for office herself, Land is a force on the political scene and serves as a staunch ally to Democratic leaders at the local, state and federal levels. She first moved to Tampa as a junior high school student. Her father’s health was poor and her parents thought the warmer climate might help. So they moved the family to Temple Terrace. Uncertain about what she wanted to do, Land became focused on finding work, and, at first, took a job with William’s Pharmacy in Tampa. Eventually, she enrolled at Tampa College to study business, as well. While she was still in school, she was hired as an executive secretary at a new branch of the First Federal Savings & Loan opening on Dale Mabry Highway. He kept calling her, though, and eventually her mother suggested that she ought to call him back. “I told him, ‘I think you mean with you,’” Land said. Their first project was an affordable housing subdivision near Robinson High School. Eventually their portfolio grew to include a range of housing types from affordable homes to high-end townhomes. She worked closely with interior designers to ensure each home was customized to their clients’ tastes and requests. “I handled all the details,” she said. Eventually, she and her husband became involved in politics, though they never desired to be candidates themselves. “[John] never wanted to run for office. He just wanted good government,” she said. So when she moved back to Florida after high school, she followed her family’s lead and registered to vote as a Republican. “But as time went on, and I saw the greed and the self-serving, I thought, ‘I don’t think I’m a Republican now,’” she said. Since 2000, she has dedicated herself to the Democratic party, co-chairing the Distinguished Democrats Advisory Committee with Bill McBride. She went on to assist with McBride’s run for governor. She’s also involved with the upcoming 2018 elections, assisting with the campaign of Florida House District 60 candidate Debra Bellanti, who is facing Jackie Toledo for the seat. Land also plans to back a Tampa mayoral candidate, but hasn’t decided which one just yet. “I’ll say this though, I won’t support anyone who doesn’t support relations with Cuba, that’s one of my top things. That and wanting to help the homeless,” she said. Outside of politics, Land gives back to the Tampa Bay community in other ways. 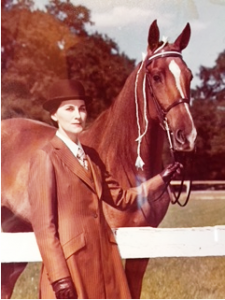 In the early 1980s, she was the first woman president of the Tampa Horse Show Association. She also went on to help found the Gasparilla Charity Horse Show. Environmental issues have always been close to her heart, as well. She currently serves on the Feedback Committee for the Hillsborough County Environmental Protection Commission. She also worked with the Sierra Club and 1000 Friends of Florida to bring the documentary “Troubled Waters” to the Tampa Theatre. Homelessness is another issue of importance to her. She serves on The Salvation Army Tampa board, and has worked closely with Metropolitan Ministries for decades. She recalls receiving a call for help from Metropolitan Ministries in the 1970s. “Back when it was just a soup kitchen and the gap house across the street,” she said. Because of zoning violations, the soup kitchen was on the verge of being shut down, and the gap house needed a new roof and bathrooms, she said. In addition to helping fund the projects, Land also brought in volunteer workers to get the jobs done. The projects were completed during the holiday season “and that was the best Christmas I ever had,” she said. She continues to work closely with Metropolitan Ministries, supporting their efforts to help create a facility similar to Pinellas Safe Harbor in Hillsborough County. “I don’t think people should be arrested for being homeless,” she said. “It’s expensive. At Pinellas Safe Harbor, you have a case worker, a clinic if you need medical help, and you have a safe place to sleep, eat, and store your belonging. And a case worker is helping you. You can go out in the day time and look for a job, and you come back at night. This all makes sense.” She hopes with a changing of the guard in November, with a new mayor and a new sheriff in place, this can become a reality. Land is always on the lookout for Democratic candidates who embrace these issues that are so important to her. She’s “fired up” for the 2018 midterm elections. “I’m so unhappy with our Republican leadership,” she said. She’s amazed by the number of women running for office. In 2017, 25,000 women ran for political seats at different levels. “The two previous years, there were 5,000 combined,” she said. There are even more running this year.